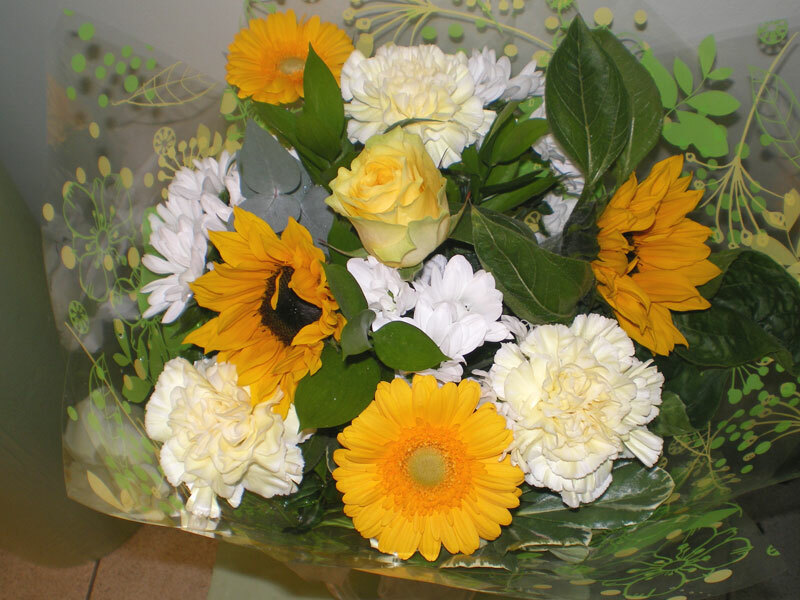 Send your Get Well wishes with this cheerful selection of seasonal flowers designed by our florist in your choice of colours. Actual flower varieties used may vary from the photo due to seasonal availability. Photo shows Standard size in Yellow. To make your gift even more special choose an add on extra such as chocolates, a balloon, champagne or a teddy.